Jeans, Jeans, and Jeans for Fall! Fall weather is not quite here in Texas just yet! But I do love that its definitely jeans kind of weather! 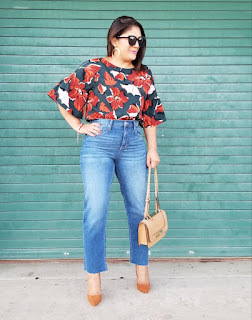 I love styling jeans in Fall and Winter! I especially love trying different styles, shapes, and lengths! I have scored on denim in my most recent hauls to Kohls and Macy's! I found Rock and Republic, Jennifer Lopez, and Lauren Conrad jeans on clearance at Kohls starting as low as $8.00 and the most I paid was $14.00! And all those jeans retailed from $48.00 to $68.00! I also scored on denim as low as $6.00 at Macy's! Those jeans were straight ankle crop, distressed ankle crop, and ankle skinny jeans! Those brands range from Black Daisy to I.N.C. International Concepts, Celebrity Pink jeans! Leopard Print for Fall 2018! Hey there my faithful readers, blogger's, and followers! Fall is here, Fall is here, and I am here for it! What is you favorite thing to wear for Fall?! My favorite looks are blazers and denim! Yes, blazers styled so many ways with denim! And, of course leopard print everything! Every season leopard print always makes a come back and this 2018 season, leopard print is one of the biggest trends! Even leopard print over leopard print with leopard print accessories! 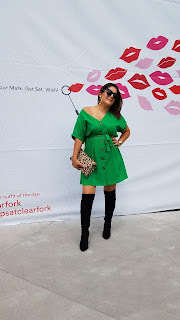 Okay, okay, but, this mom doesn't like looking like a leopard threw up on me, hence, I love showing you guys how to style the print without over doing it! I have not said no to the head-to-toe leopard print styles though, remember the saying, "don't knock it till you try it", I don't completely ban it from my closet, because I have not tried it yet! But, with it being this Season's biggest trend, I might just try it! Who knows! Maybe I will like it! First and foremost, I am so thankful to everyone who voted for me during week two of the New York and Company Gabrielle Union Rule the World contest! You guys are the best! I won a $250.00 NYandCompany gift card and below are the links to the great things I found! The jeans and blazer were by far my absolute favorite! Can't wait to style and photograph them for you all! Be sure to take advantage of their sales codes! You won't be disappointed! As always, happy shopping and thanks so much for stopping by! Hello Loves! I don't know about you all, but I sure am ready for Fall! I am ready for pretty Fall colors, patterns, and of course, blazers! My favorite Fall combination is denim and blazers! I am linking some of my favorites below at the end of this blog post! 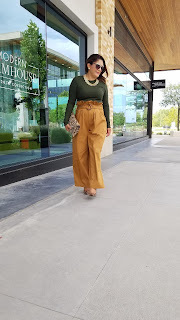 But for now, let me tell you all what I am going to love styling this Fall, and that is, camel colors with hunter greens, burgundy, and black!